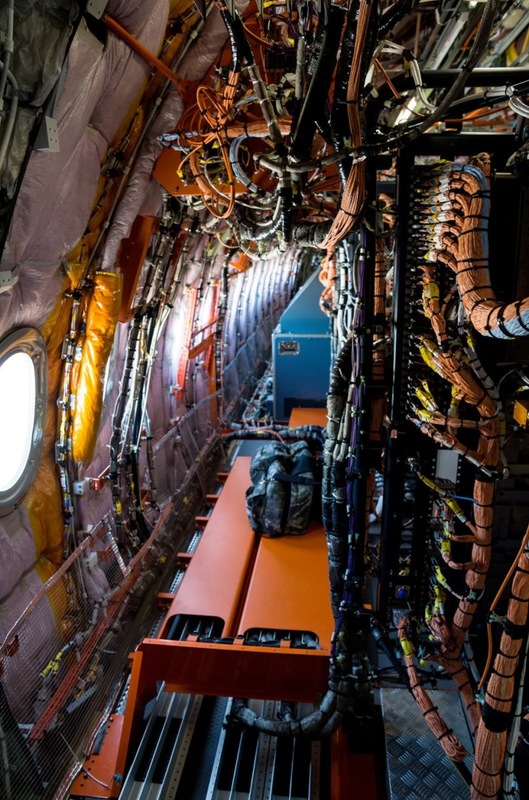 Each test flight is operated by a crew of 2 pilots and 3 flight engineers, who monitor the stream of data flowing from a multitude of sensors into a bank of computers installed in the middle of the cabin. 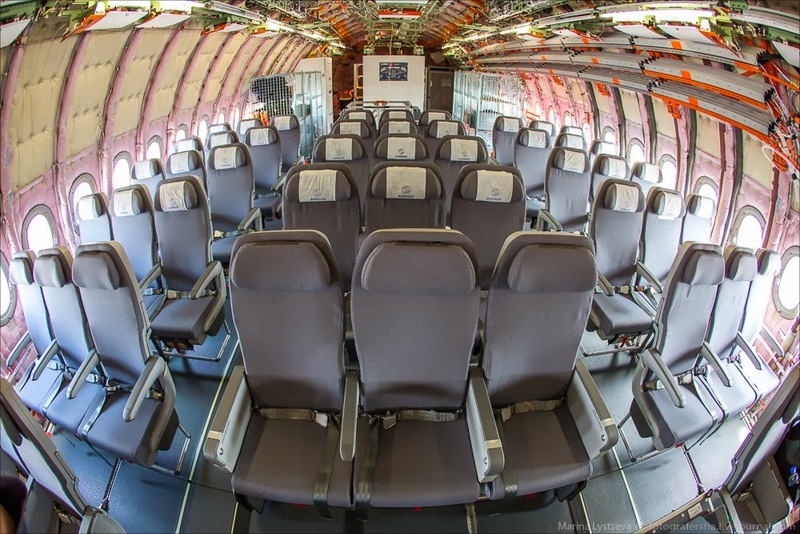 On all seats is a parachute. 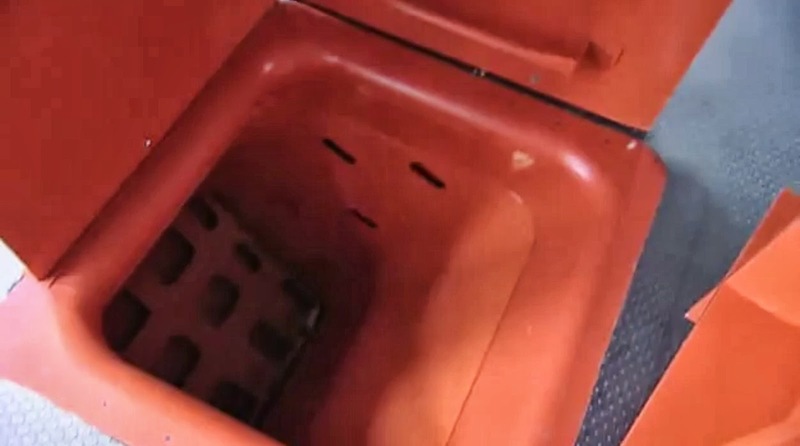 If things should go terribly awry and the crew needs to evacuate, a bright-orange railing leads them from the cockpit door to a hatch in the floor above the forward baggage compartment. The emergency scape. That’s the idea, anyway. Says test pilot Frank Chapman: “If the plane is tumbling out of control, would you really be able to get out?” He shrugs. 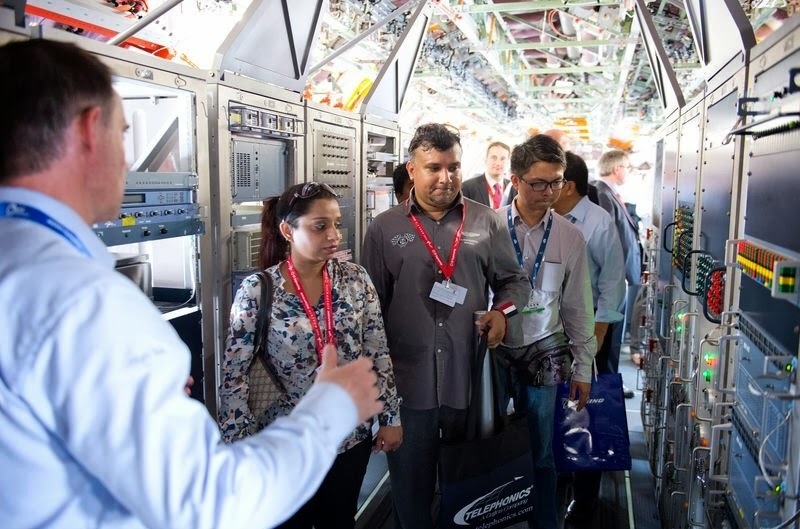 Qatar Airways is aiming to steal the limelight at this year’s Farnborough airshow by displaying no less than 4 airliners including an A380, an A320, an A350, and a 787. Airbus will display the A350 MSN4 adorned in a hybrid scheme with Qatar Airways titles and branding at Farnborough airshow in July. Additionally Qatar Airways will bring its first A380 where it will also display a Boeing 787-8 and a sharklet-equipped A320. For ILA Berlin Airshow that will place from 20/May to 25/May, the A350 prototype that will be displayed could be the black&white painted MSN2. The cabin installed in this prototype has been developed and manufactured by the German risk-sharing-partner Diehl Aircabin. Based on the article “Qatar to take first A380s in June, plans Farnborough extravaganza” published in Flight International. 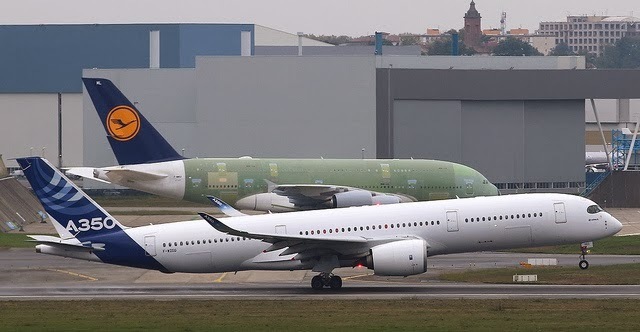 The A350 XWB flight test aircraft, MSN2 and MSN4, have both taken to the skies from Toulouse airport for their respective first flights, bringing the total number of A350 XWBs now flying from 2 to 4. 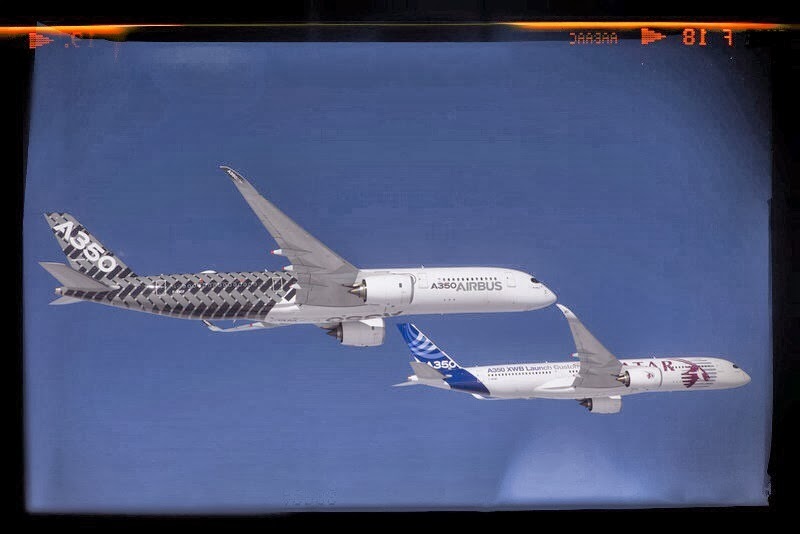 To date, the first two A350 XWB test aircraft to fly, MSN1 and MSN3, have already performed close to 1100 flight test hours out of the program’s total 2500 hours planned for certification. 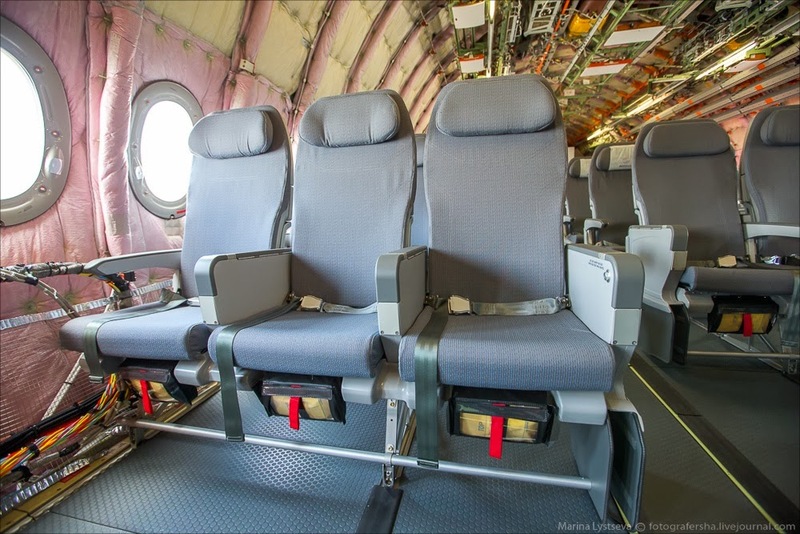 The MSN2 is the first test aircraft equipped with a full passenger cabin interior. 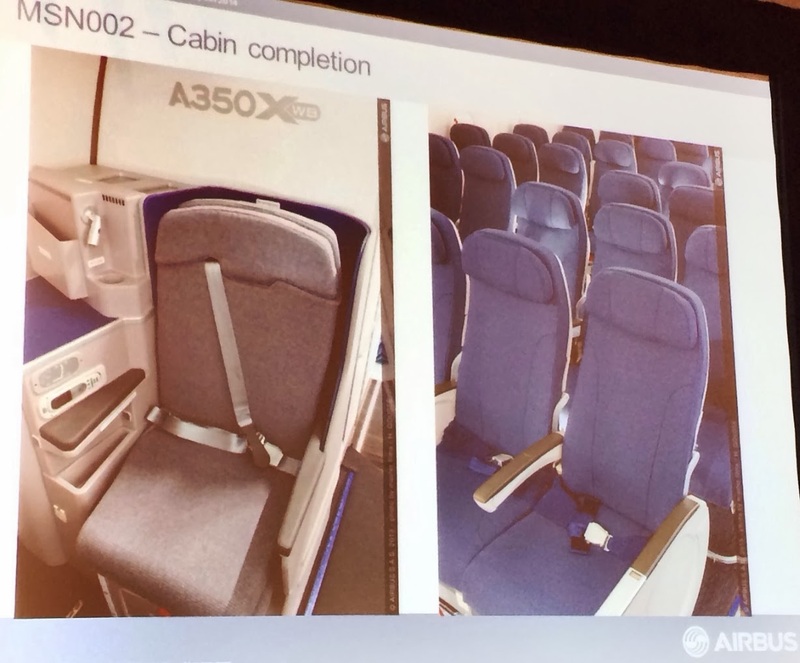 Airbus has planned "to start carrying passengers and performing tests of the cabin and all of the cabin systems” when it undertakes the Early Long Flights (ELF) in Spring. 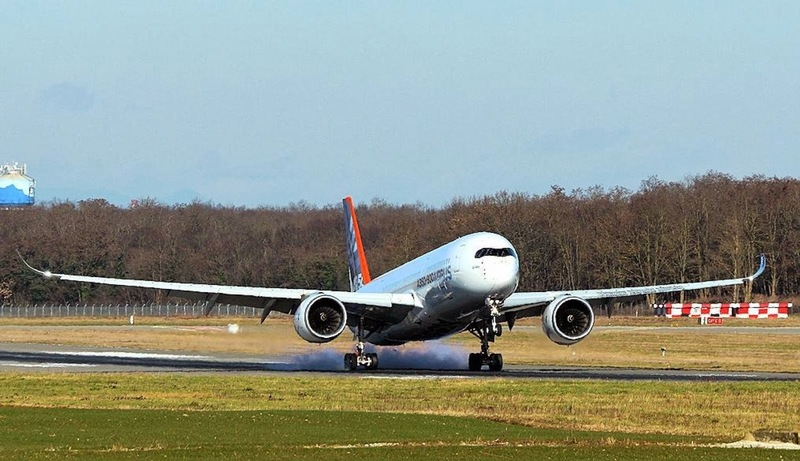 Airbus rolled-out its 3rd flight-test aircraft MSN2 from the paint shop in Toulouse on the 2nd of January. It has a distinctive “Carbon” signature livery to reflect its primary construction from advanced materials. In the upper side of the aft section of the fuselage there is the radome for the satellite based broadband system (a directional antenna is installed in German pre-FAL under the radome). 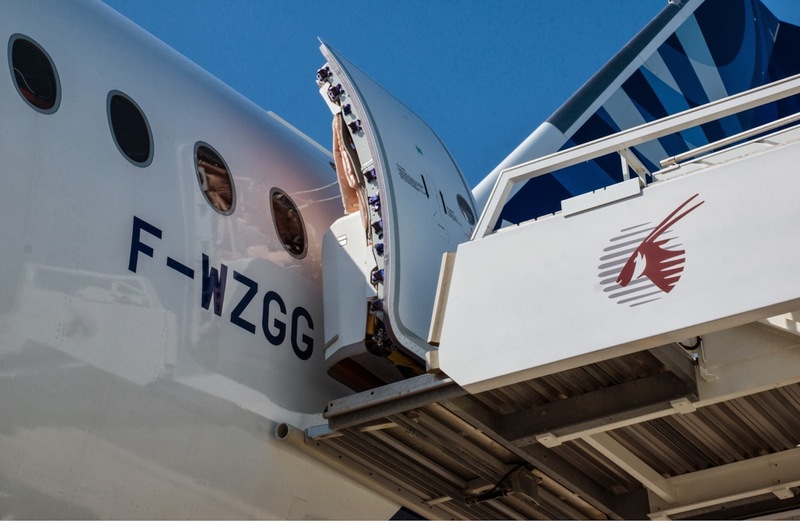 With this system, the passengers will have access to the wifi system within the fuselage for internet connections through smartphones and tablets. Qatar Airways, the largest customer of the A350 is prepared for the arrival of its first A350-900s later this year. 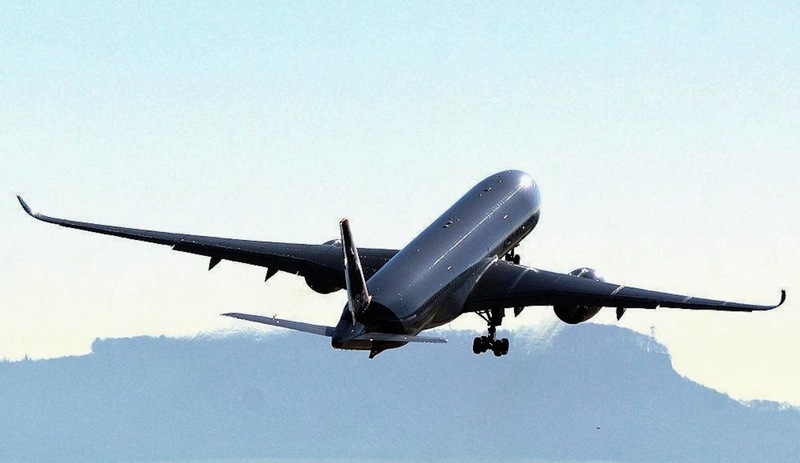 The airline says it will not be able to assess whether the -900 has met performance targets until it enters service in the fourth quarter, but remains confident that the program is on track. 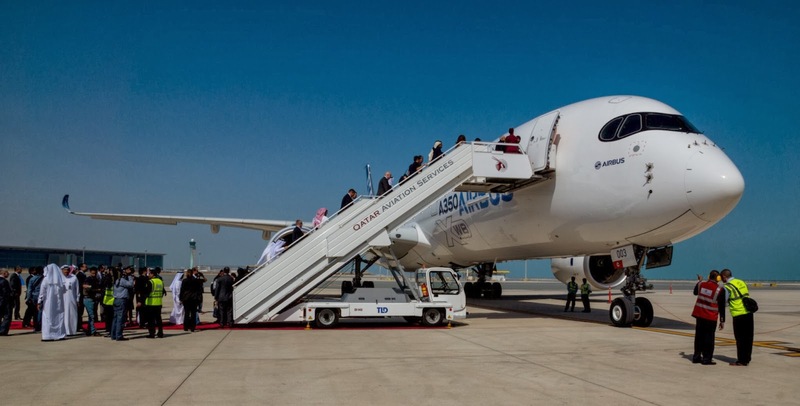 Qatar Airways CEO Al Baker added: “I cannot say anything about the performance until the aircraft is delivered. On paper we have a lot of guarantees, but when we start flying it, we will have to see”. 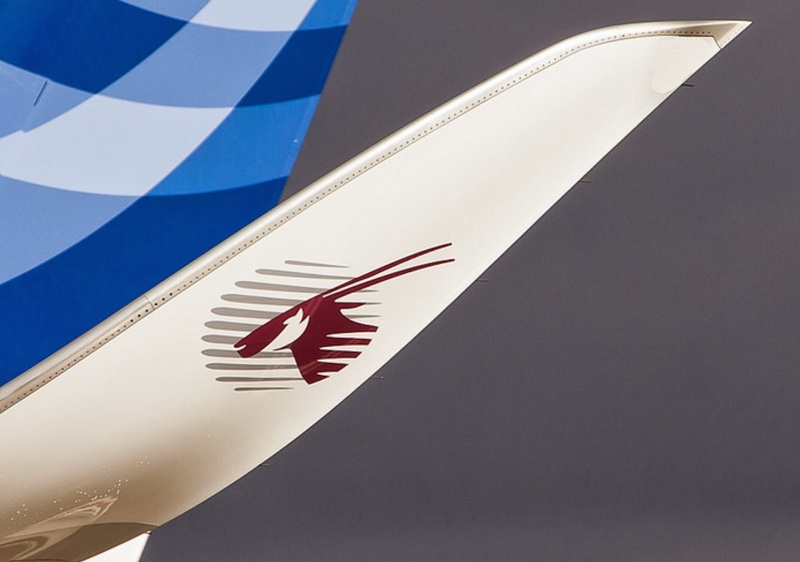 After initially using the A350 on intra-Gulf services for training, Qatar will operate the A350s first long-haul services to New York and subsequently European routes. Detailed analysis of the A350´s fuel burn and range performance will be done with MSN5 “batch2” prototype starting in May. Airbus will undertake detailed analysis of the A350 XWB’s fuel burn and range performance with the first fully representative aircraft when it flies in May, but is confident that it is on course to achieve all its targets. The first two aircraft MSN1 and MSN3 -with more than 1000 flight hours logged- have been used for some basic performance testing. MSN2 and MSN4 will also play a role in the process as soon as they airborne in February. However the test team will concentrate on MSN5 when it becomes available in May for definitive analysis, said Fernando Alonso senior vice-president flight and integration tests. 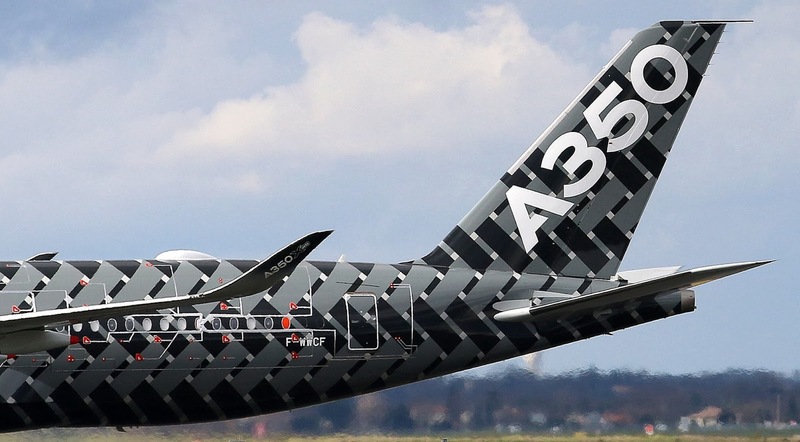 “MSN5 will be the first ‘batch 2’ airplane built with production-standard engines, and we will fly a 2-3 month test campaign on that airplane which is mandatory to certificate everything related to ‘batch 2’ modifications and the engines,” said Alonso. 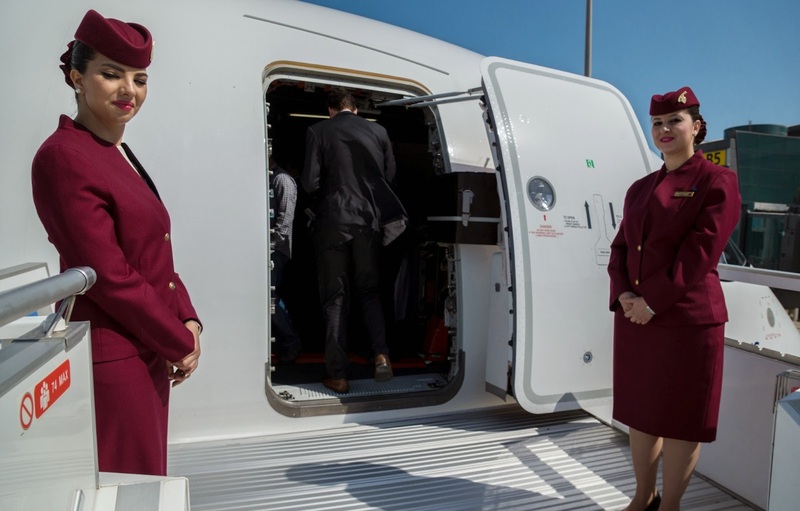 This aircraft will also be used for the route-proving program to be flown in conjunction with launch customer Qatar Airways, from the airline’s Doha base. The first A350 off the line for Qatar Airways will be MSN6. 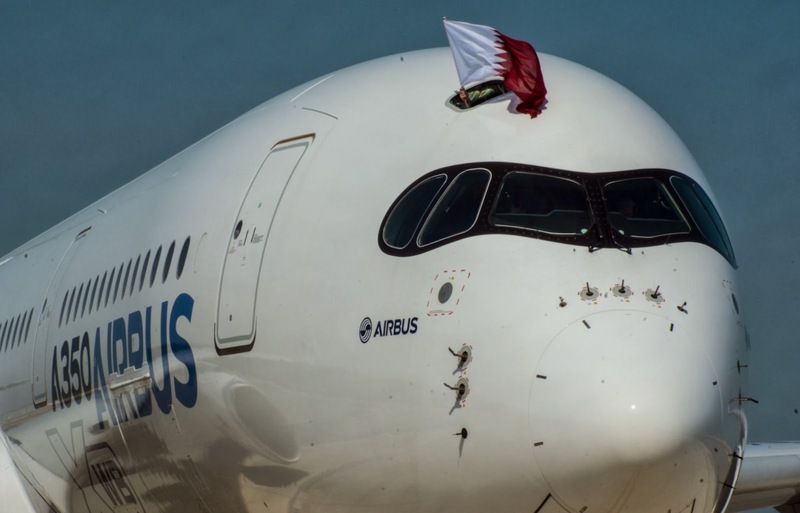 Airbus says it is making “steady progress” towards type certification in the third quarter and it is confident that first deliveries to Qatar Airways and entry-into-service will take place before the end of the year. Extreme temperature tests second round scheduled for May. 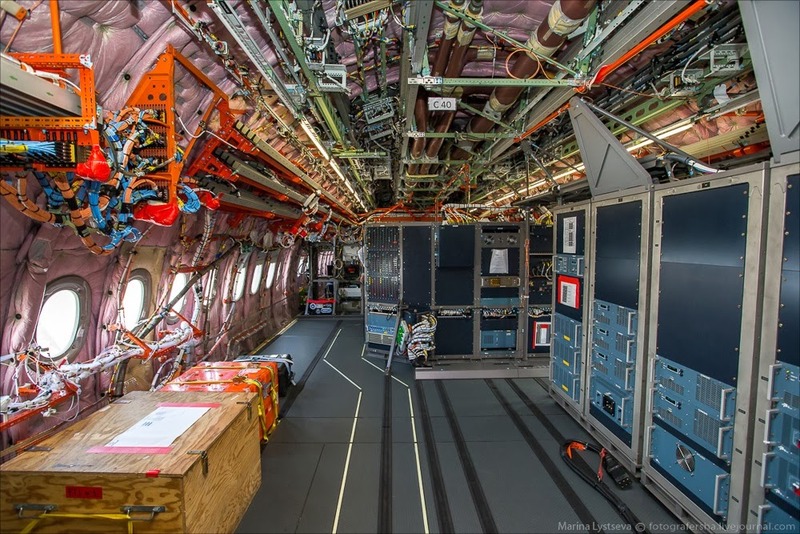 But this time the A350 will be tested indoor. 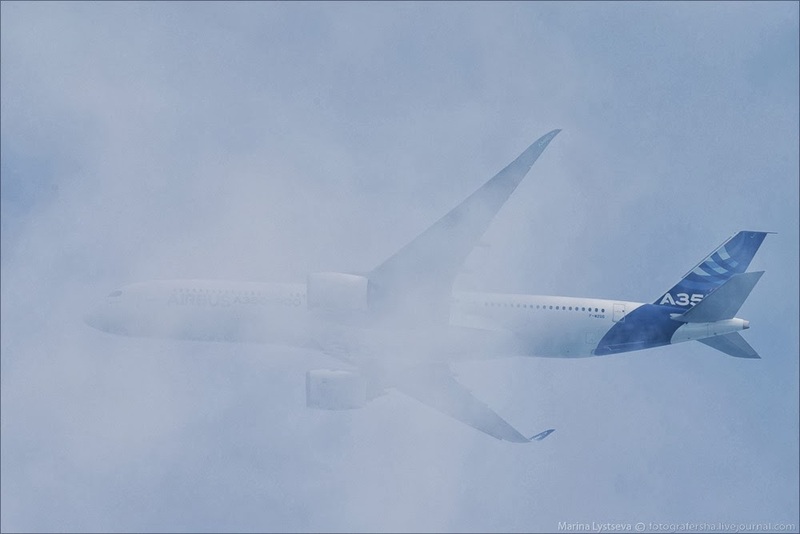 Following the Bolivia and Canada trials, the A350 will undergo another round of extreme temperature tests in May, but this time it will use the McKinley Climatic Laboratory at Eglin Air Force Base in Florida. The hangar will be cooled down to temperatures of around -40 degrees Celsius and heated to reach +45 degrees Celsius. The hangar has been used by many previous programs including, most recently, the Boeing 787. Two months before, in March, natural icing tests will be completed. Qatar Airways is in talks with Airbus about an order for additional A350 XWBs, probably -1000s, as it prepares for the arrival of its first A350-900 later this year. 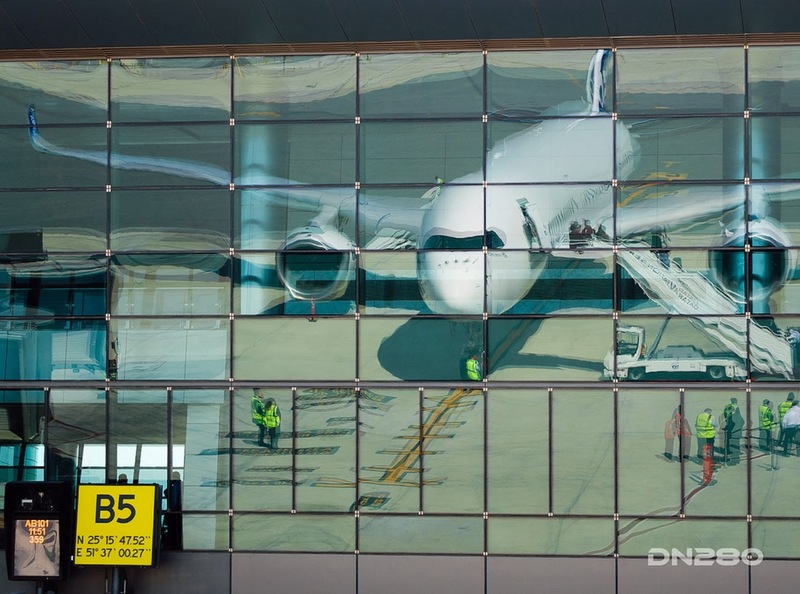 “There is a possibility that we will order additional A350s”, Qatar Airways CEO Akbar Al Baker said. “We still have not worked out the size of the order. 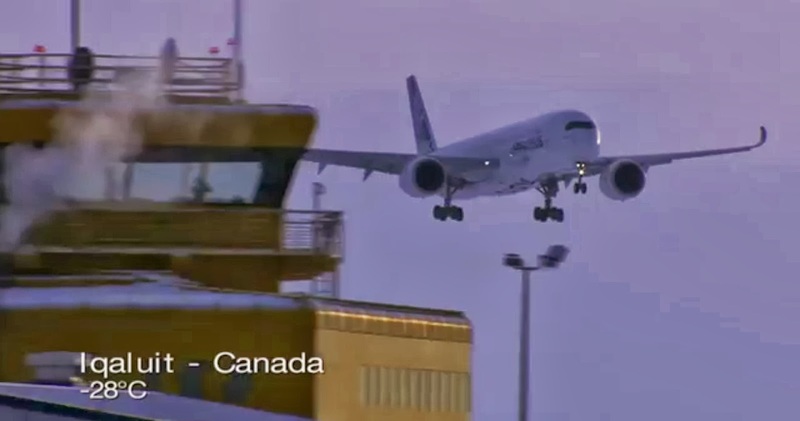 At the moment we are looking at the A350-1000”, he added. 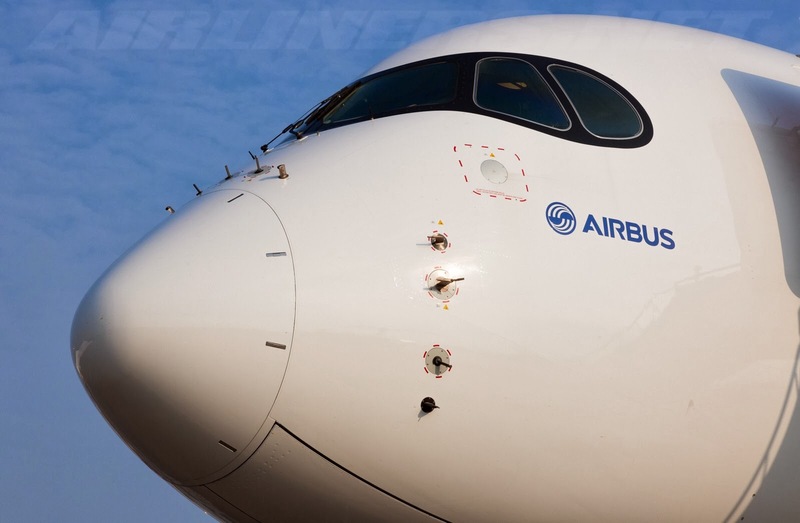 The airliner´s first A350-900 is due for delivery in the Q4 of this year, and the A350-1000s are due to arrive from 2017. 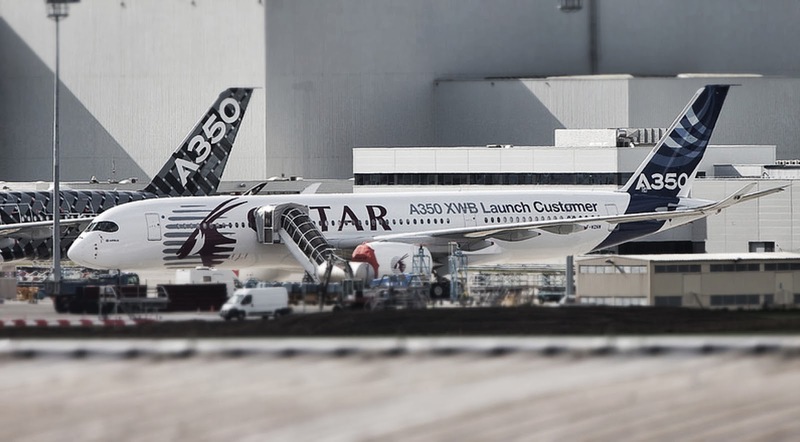 Al Baker said the schedule for the planned new A350 order “could overlap with deliveries of the current batch”. 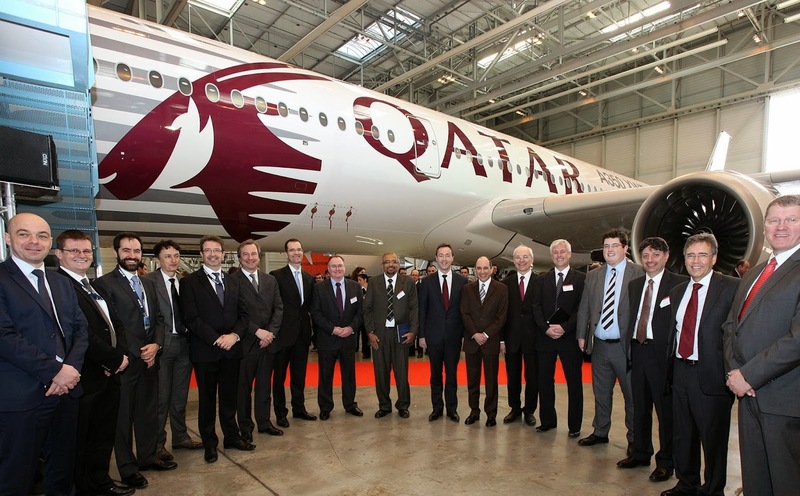 Qatar Airways is the launch customer for the A350 with firm orders for 80 aircraft, comprisiong 43 -900s and 37 -1000s. 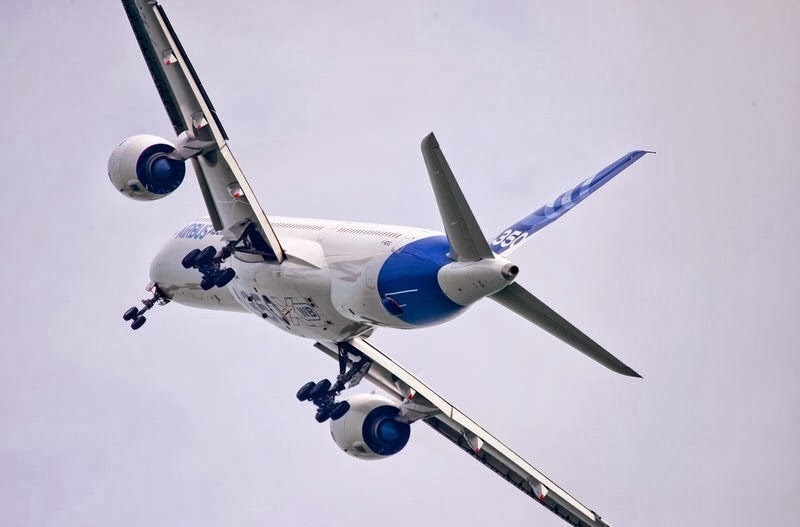 It is not clear if the proposed A350 deal would have any impact on 30 options the airline holds for Boeing 787s, as Al Baker has previously been critical of the Dreamliner´s teething problems. 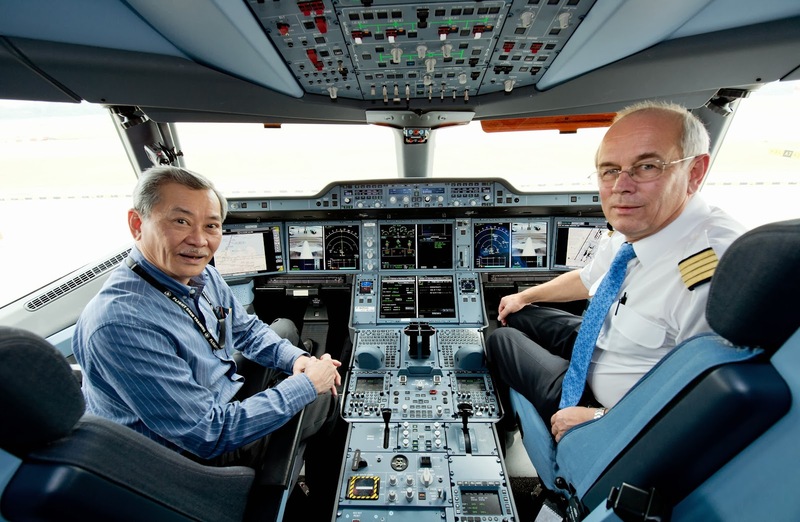 Singapore Airlines pilots feel at home in the A350 XWB. Commonality is key. 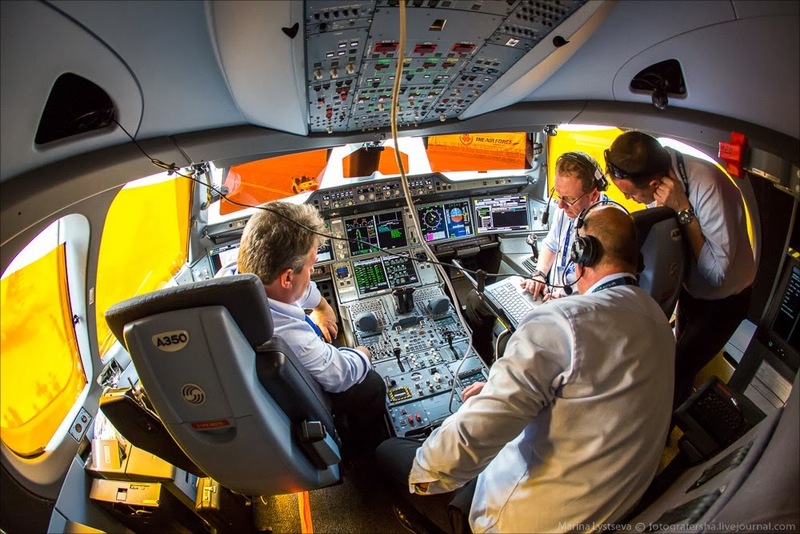 The A350 XWB has been given high marks by two Singapore Airlines pilots following a demonstration flight from Changi Airport in this new jetliner – as both praised its commonality with the A380 and A330 they currently fly, while also appreciating new features incorporated in the cockpit. Captain Quay Chew Eng, the Vice President and Chief Pilot Training at Singapore Airlines – who currently flies the A330 – found the A350 XWB’s handling characteristics to be nearly the same as the rest of Airbus’ fly-by-wire jetliner family, and predicted a nearly seamless transition for pilots to this latest member of the company’s product line. 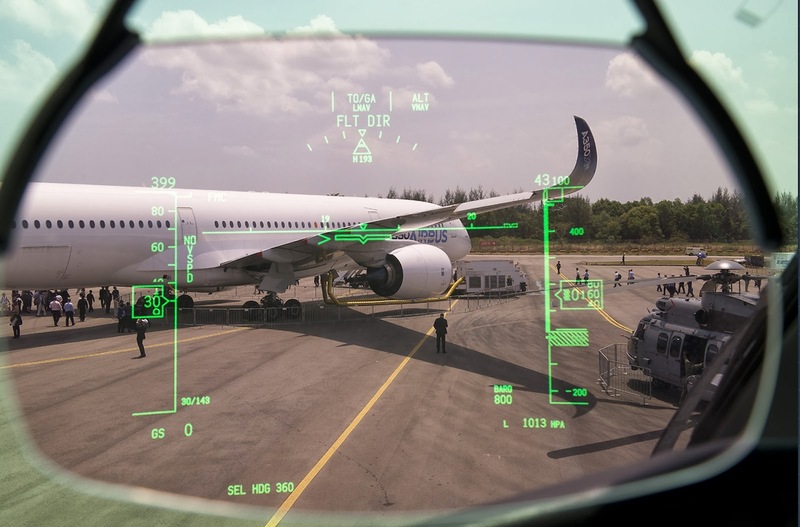 He said the A350 XWB’s new cockpit features, including the use of six large-format LCD (liquid crystal display) screens to display flight information for improved pilot interface, were “quiet intuitive. 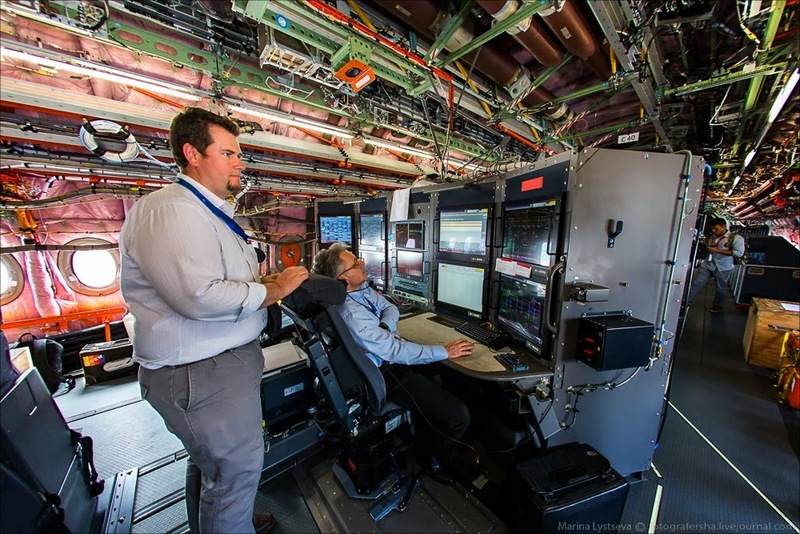 “The greatest complement to Airbus is that I feel very at home stepping into this cockpit,” he explained after completing the demonstration flight. 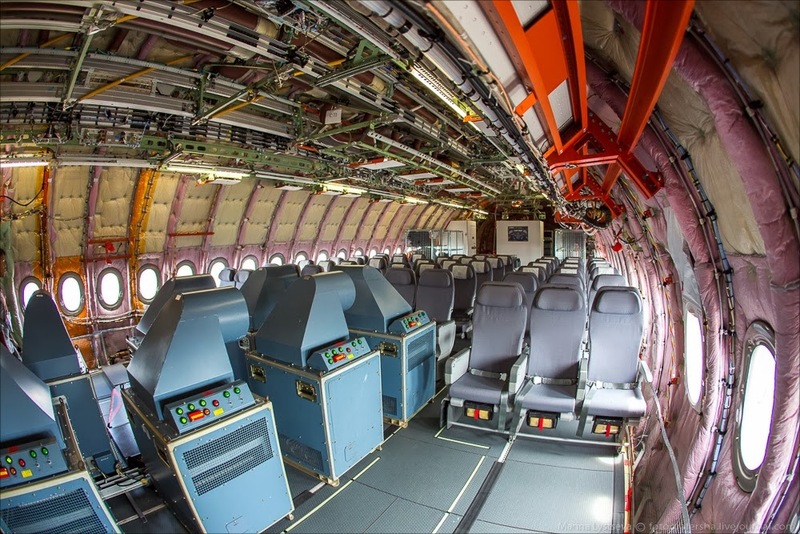 “It handles, looks and feels like another Airbus. 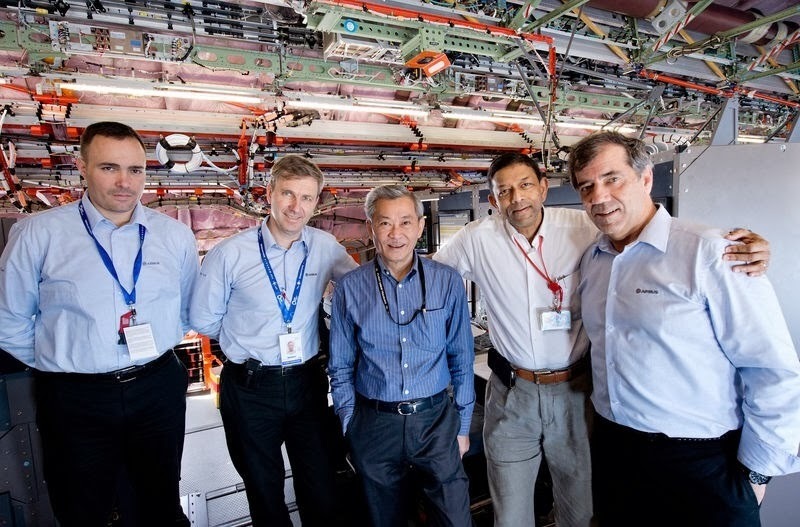 Based on the press release "Singapore Airlines pilots feel at home in the A350 XWB"
According to Fernando Alonso - senior vice-president flight and integration tests-, Airbus had built in some contingencies into the schedule in case some significant difficulties would be discovered, but there weren’t any. Because he expects a larger number of requests for late modifications, he has “no hope” however, that the certification and test program could be accelerated. On the other hand, Alonso is very confident that entry into service will not be delayed. “We have taken a lot of risk out of the program,” he says. 2 more test aircraft, MSN2 -the first full cabin installed- and MSN4 are going to fly before the end of February and MSN5 is planned to fly in May. 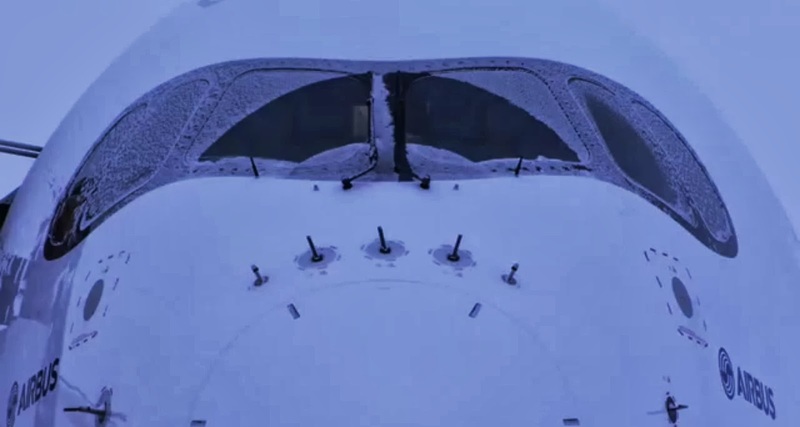 All the configurations of the aircraft – flaps and slats settings for various flight phases amongst others – are now defined and frozen. 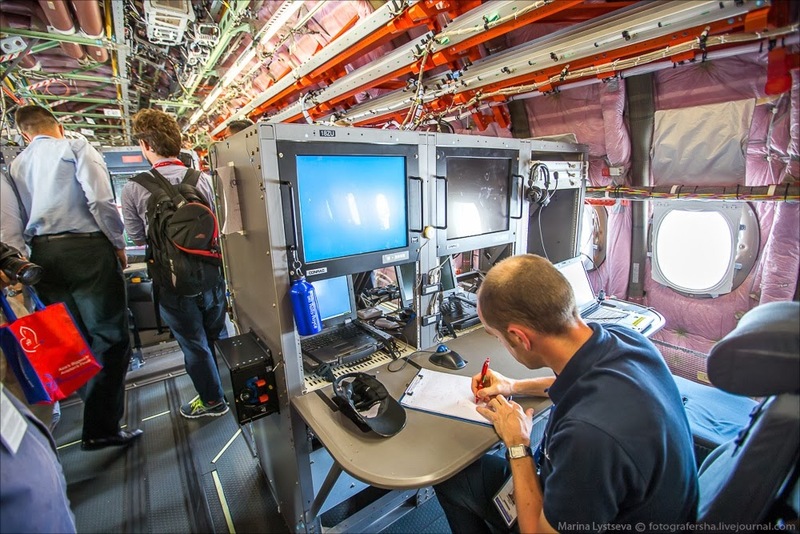 Certification testing involving airworthiness authorities has begun. Kuwait's parliament will investigate the provisional agreement of Kuwait Airways to buy 10 A350-900. Kuwait's parliament voted last week to investigate a deal between the state carrier and Airbus to buy and lease aircraft. Politics have long complicated Kuwait's plans to modernize its infrastructure and to implement a program to diversify the economy and enable it to compete as a Gulf financial centre. Such parliamentary inquiries are common in Kuwait, where lawmakers often question large government projects and have delayed or scuppered them in the past. 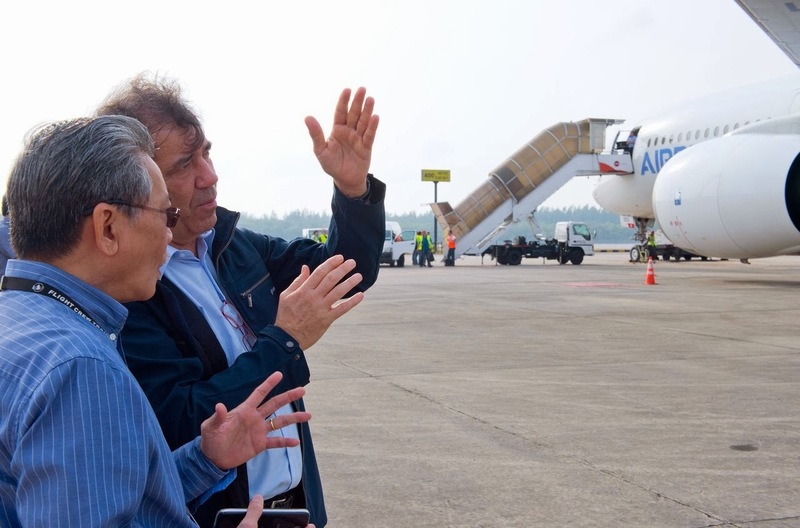 Lawmakers want to investigate all deals agreed by Kuwait Airways, which is attempting the biggest overhaul of its fleet since the 1990 Iraqi invasion. 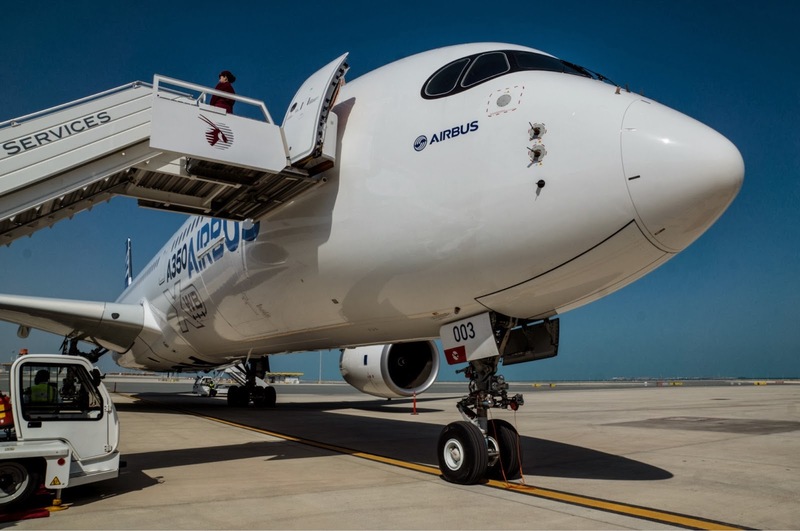 In December it signed a provisional agreement with Airbus to buy 25 new aircraft in a deal worth $4.4 billion at list prices. Airbus has signaled that it no longer expects to get financial aid from Germany for the development of the A350, underscoring how a wide-ranging restructuring of the aerospace giant has loosened the relationship with one of its largest government shareholders. 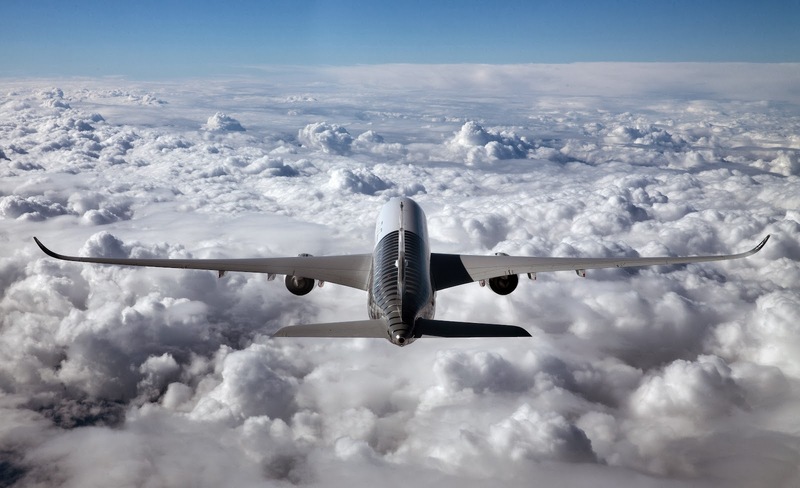 Airbus has received billions of euros in preferential loans from European governments to support the development of new jetliner models over the past 4 decades. This includes a €500 million loan from Germany for the A350 four years ago. 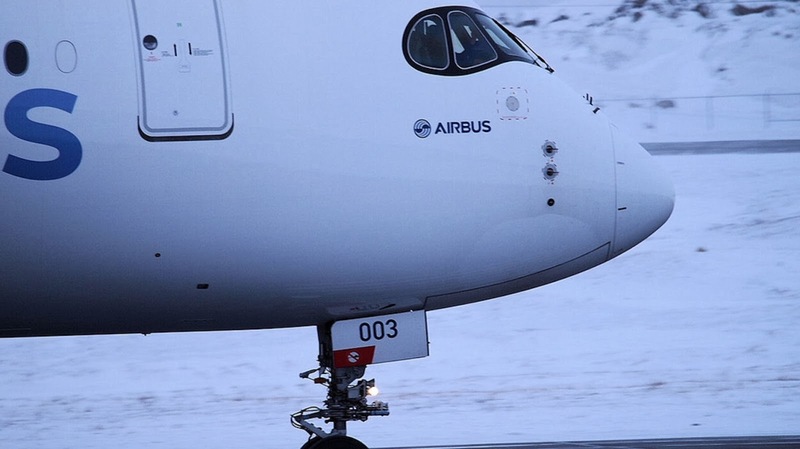 An agreement on a 2nd loan, for €600 million, remains outstanding because Airbus Group has balked at the terms being imposed by the German government. 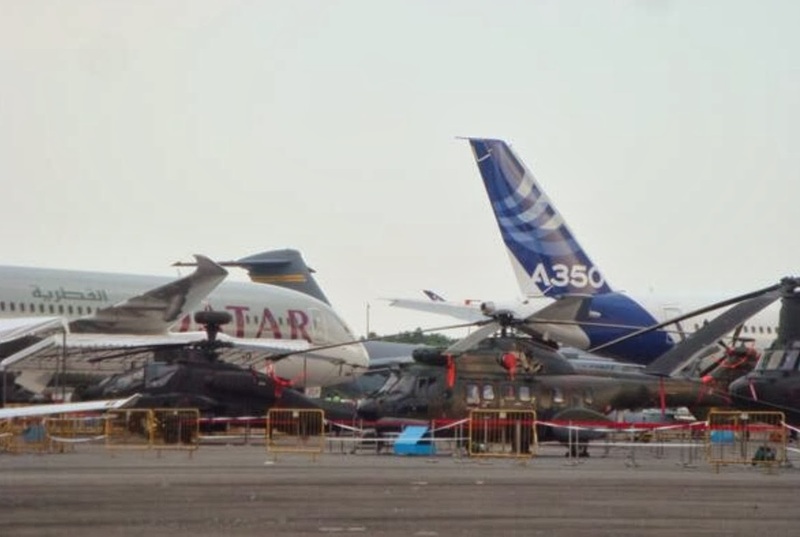 "As you're aware, we reopened discussions 18 months ago and we didn't come to a sound conclusion, so we decided to stop," said Airbus Chief Executive Fabrice Brégier, on the sidelines of the Singapore Air Show. “For me the discussions are over on that." 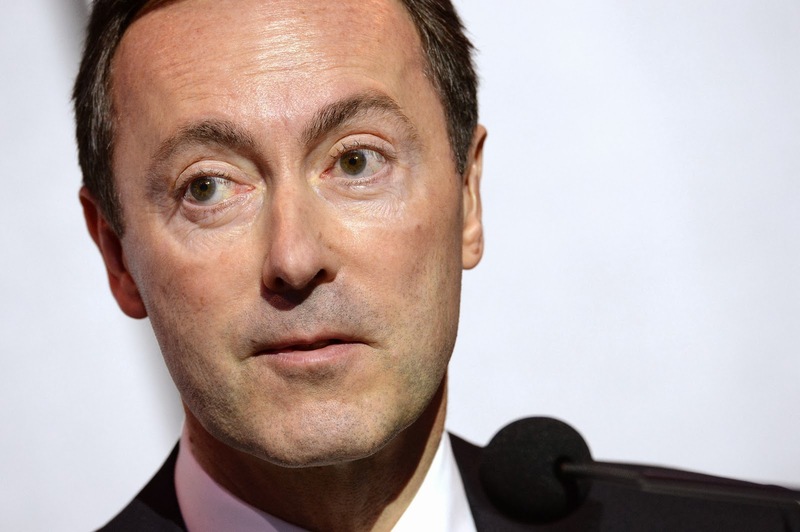 "We weren't ready for the requirements they wanted," an Airbus spokesman said. Germany has long insisted on guaranteed work and jobs as part of its shareholding in Airbus Group. The restructuring of EADS as Airbus Group last year further reduced Germany's influence. The company streamlined its defense and space operations, cutting 5,800 jobs and consolidating sites across France, Germany, Spain and the U.K. The group has also shifted its main headquarters from Munich and Paris to its commercial aerospace base in Toulouse, France. First, it must decide how best to compete with Boeing’s 787-8/9 for long, thin international routes. 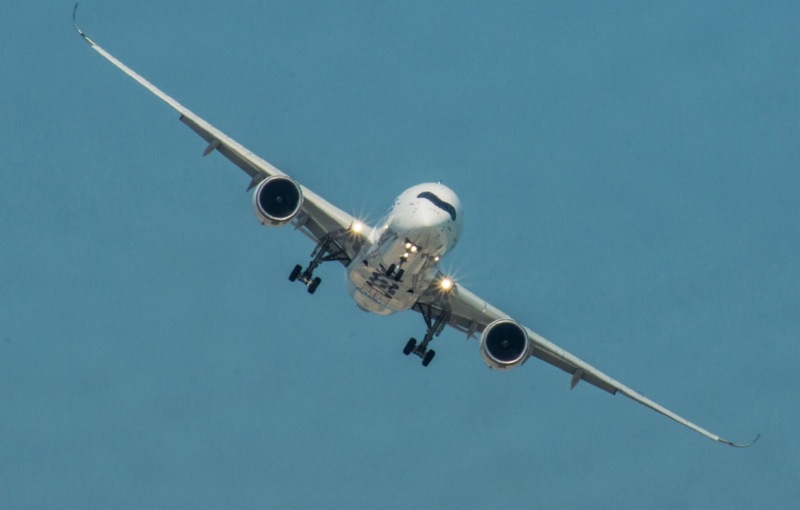 For years, Airbus has relied on its A350-800 to compete in this class, but over the past year, the orderbook for this variant has fallen by about half. 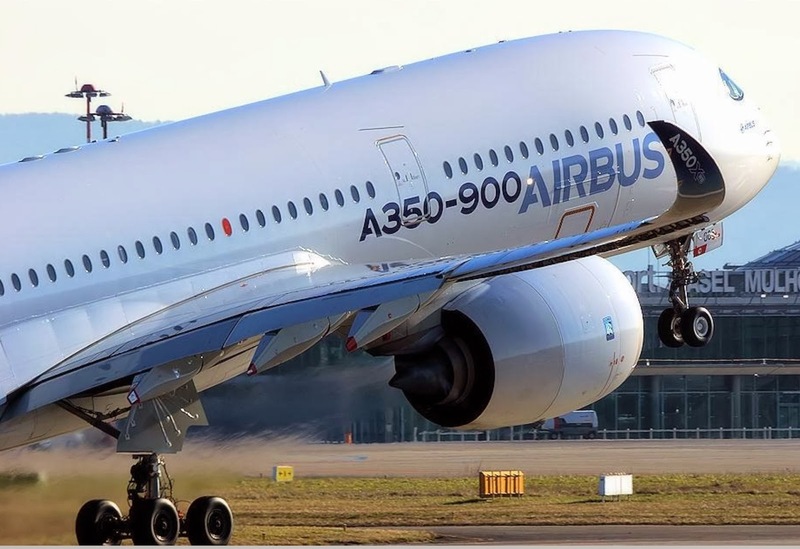 Given the weakness of the A350-800 orderbook, Airbus may be facing a simple choice: Reengine the A330 despite the costs, or lose the 220-300-seat segment to Boeing. Airbus’s 2nd challenge is decide whether or not to rescue the A380. Airbus must decide whether it needs an “A380neo” to keep Emirates satisfied or should focus on expanding the A380 customer base beyond the current level. 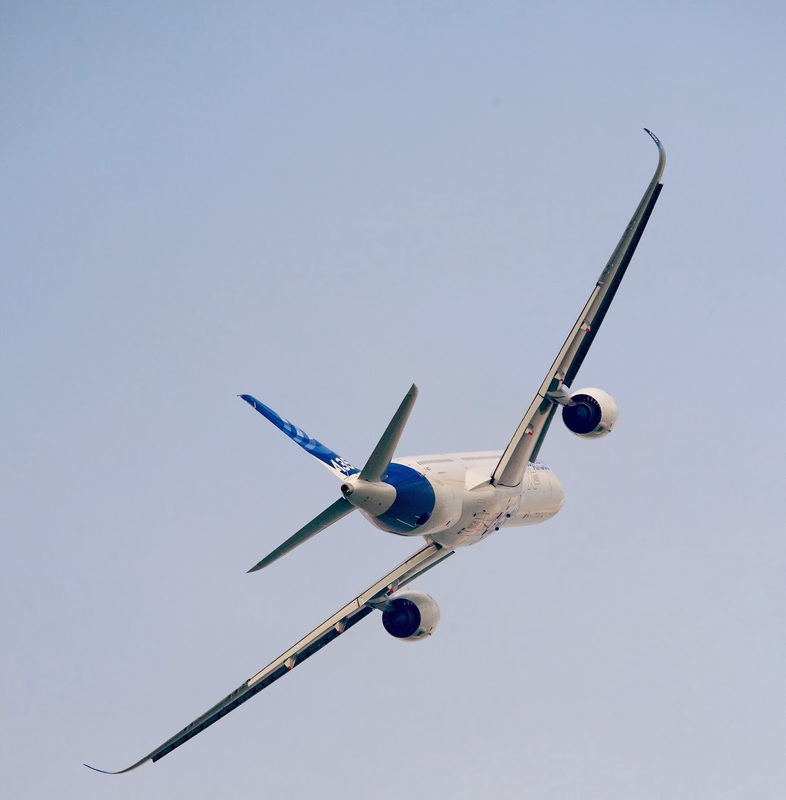 Airbus’s 3rd—and certainly largest—product-line challenge is to develop a response to Boeing’s 777-9X. With the A350-1000 limited to 350 seats, it’s clear that Boeing’s 407-seat 777-9X will be the largest and most capable twinjet on the market. While a further stretch of the A350 fuselage is possible, it would need a new engine as well as wing and tail modifications. 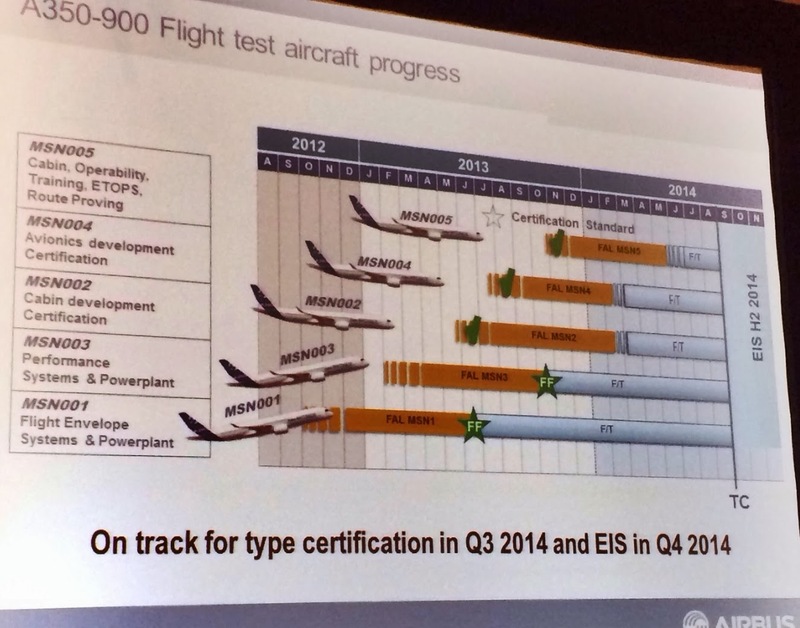 Even then, a notional “A350-1100” is not likely to match the 777-9X’s capabilities. An all-new big twin would be optimal, but quite expensive. 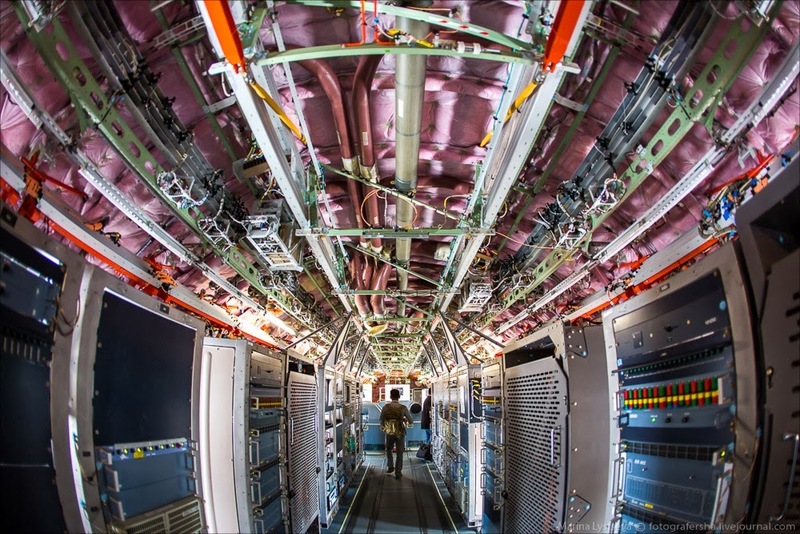 All of these challenges are emerging at a difficult moment in Airbus’s history. On the positive side, it is being reformed under CEO Tom Enders into more of a private-sector company, moving away from government ownership and influence. 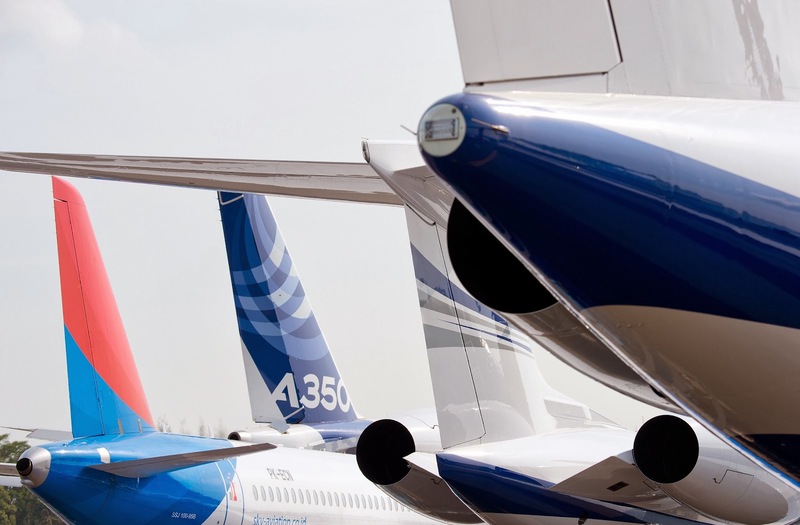 Given the requirements of funding the A350 and A320neo, Airbus isn’t likely to have the resources to fund both an A330neo and A380neo and a new large twin, too. When these factors are taken into account, the market picture for the next decade or so becomes clear. Airbus may have a slight advantage in single aisles, but Boeing’s twin-aisle product line superiority implies a 55% market share by value across the board, assuming it can execute as planned on the 777X and 787-10. 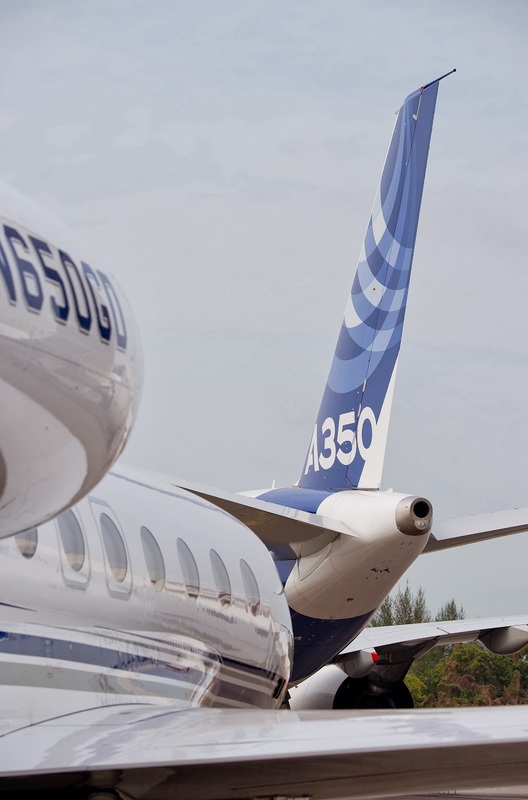 The odds are heavily against Airbus’s finding the resources to compete in the 360-450-seat twinjet segment for the next 10 years. 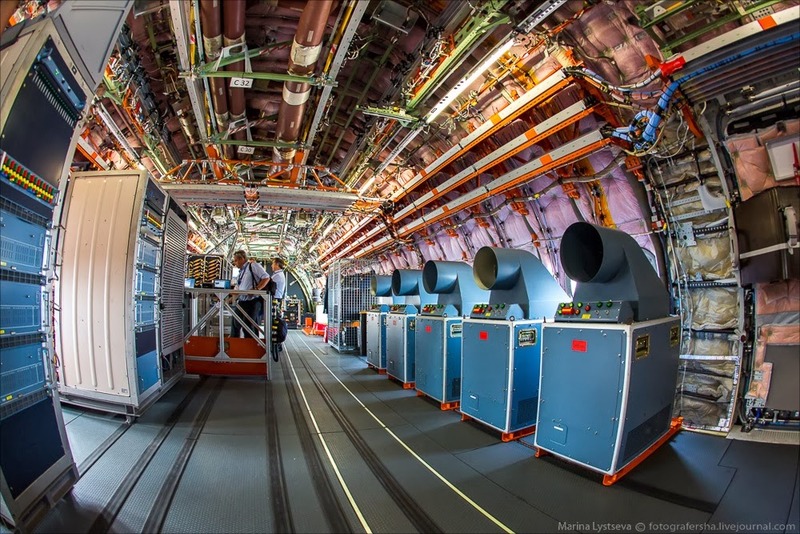 Based on the article “Airbus Twin-Aisles—Big Needs, Limited Means” by Richard Aboulafiapublished in Aviation Week. Another 10 A350-800 converted to A350-900 in January. 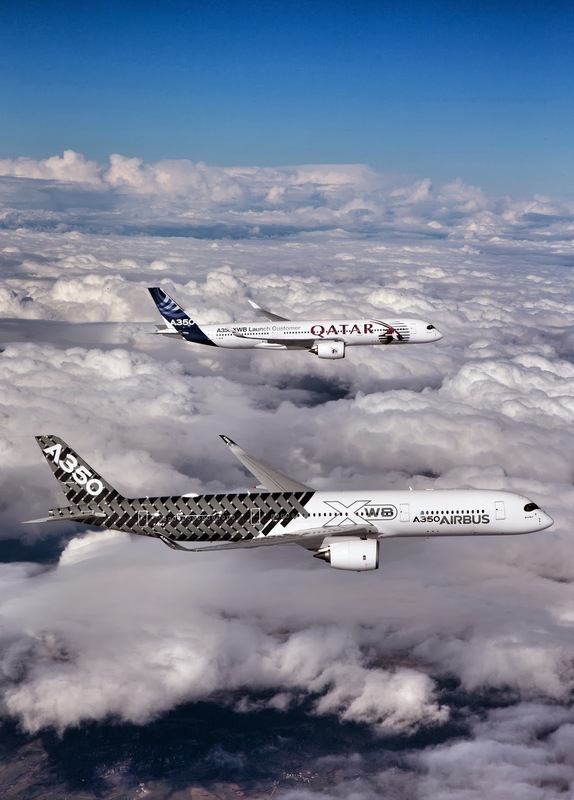 A look at Airbus' January 2014 orders & deliveries report reveals that 2 more customers have switched from the A350-800XWB to the larger A350-900XWB model. ILFC switched its remaining 6 A350-800XWBs on order to the A350-900XWB model while Libyan Arab Airlines did the same for its remaining 4 aircraft. 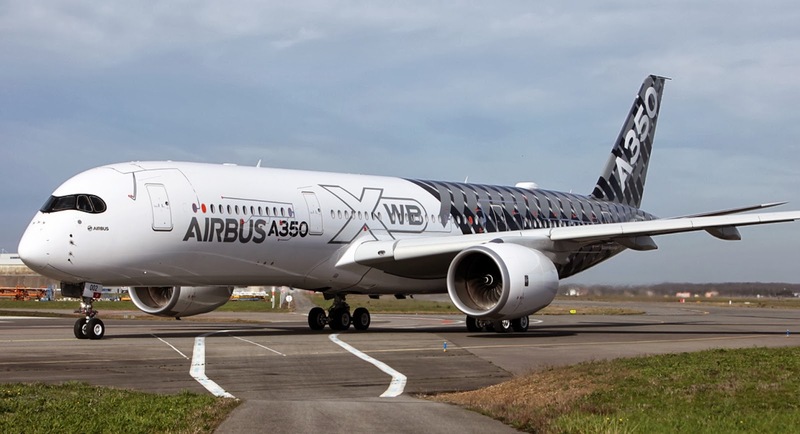 This brings the total number of A350-800XWBs on order to 46 among just 6 customers. ILFC had been a customer for the first iteration of the A350, but amended its agreement in 2007 following the launch of the A350 XWB family. It placed orders for 12 A350-800s and 8 A350-900s but subsequently converted all but 6 A350-800s to the larger variant. The latest customer data from Airbus shows that ILFC has switched these 6 remaining aircraft and all 20 are confirmed as -900s. Libyan Airlines placed its order for four A350-800s in January 2008. Airbus says the carrier placed a "repeat order" for the A350 last month, with a deal for 2 A350-900s, but the backlog data shows that it has also converted all 4 A350-800s and, as a result, has 6 A350-900s on order. The A350 XWB family orderbook recovers the figure of 814 orders after Libyan Airlines ordered an additional pair of -900s under its revised agreement of January.